Take a journey through two of Eastern Europe’s least explored countries and see them before too many others discover their charms. This tour escorts you to the old & the new, the cities & the countryside and along the picturesque coastline of the Black Sea. 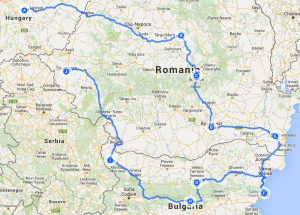 We visit Transylvania with its medieval towns, rolling hills and Dracula castles; central Romania homeland to Ceausescu’s communist regime; Bucharest a thriving modern-day city and finish up relaxing by the beach; and that’s just Romania. In Bulgaria see the home of its first kingdom and today its historic centre in Veliko Tarnivo; learn about how and where 70% of the worlds Rose Oil production comes from; taste wines and brandy as we tour a prestigious Bulgarian winery before finishing up in its most rural corner for two geographical wonders. During 30 days of adventure you will experience the real countries and throughout enjoy local cuisine with an above average amount of group meals included, certainly don’t expect to be cooking much whilst on this tour! Welcome to Hungary where we meet at a good quality campsite. You should plan your arrival early afternoon as this evening we have a welcome drinks reception and tour briefing. Today begin your connection with Dracula as we visit Sighisoara, birth place of Vlad Dracul. However Sighisoara, a UNESCO World Heritage site, is more than just about Dracula and our English speaking guide will help us appreciate its charms. Lunch will be taken in a central restaurant and later everyone will have free time for a wander. Being in the Romanian salt rich region of Sovidek, our campsite is ideally located for our group visit to a nearby salt mine, complete with underground church and coffee bar. For lunch we use a restaurant near ‘Bear Lake’ where the salt content is so high it’s supposedly impossible to drown! A completely free day but if you’re looking for things to do local shops and restaurants start from just outside our campsite. This morning we are transported to Brasov for an English guided tour of the cities Baroque quarter. We have lunch in Brasov’s old centre followed by free time for you to explore this fascinating quarter at your own pace. 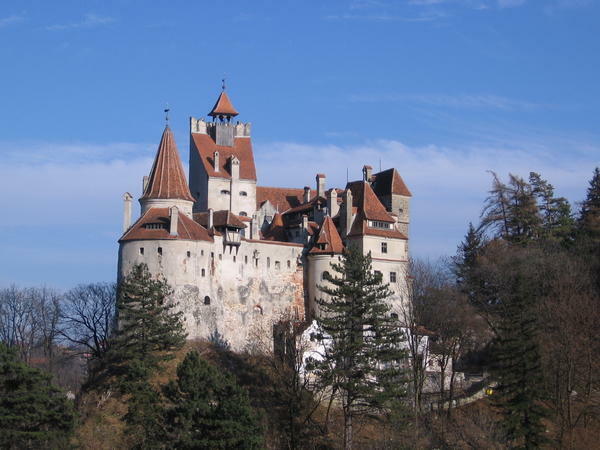 Our ‘Dracula’ experience continues today with a visit to Bran castle, every bit a vampire’s home. Collected by coach from our campsite we have a full day in the capital. We visit Ceausescu’s Civic Centre, his monument to communism and have a guided tour of his infamous Parliament Palace. Requiring 100,000 workers to construct its 1,100 rooms, its size is second only to the Pentagon. Lunch today is in an authentic city restaurant dating from the 1800’s. 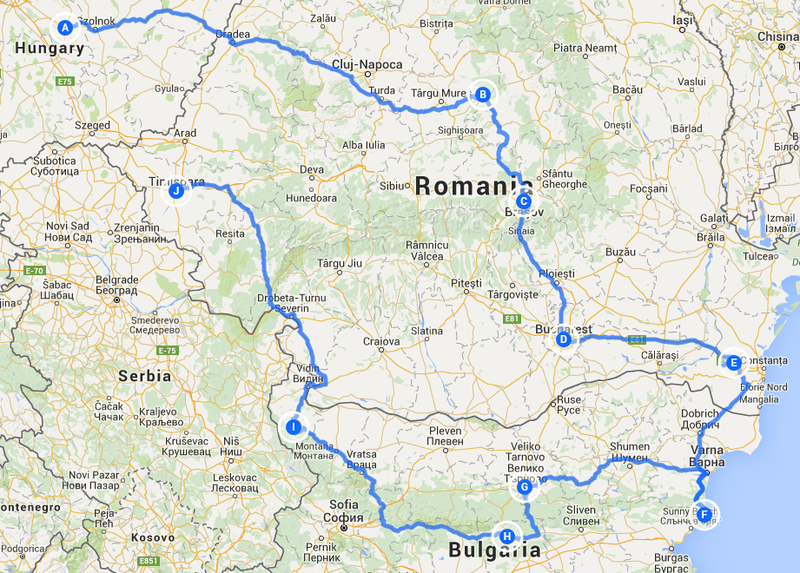 We go to Bulgaria today but not yet with our motorhomes. Our destination is Balchik Palace – summer residence of Queen Marie of Romania (Grand Daughter of Queen Victoria). When the Palace was built in 1924 this region belonged to Romania, only later transferring to Bulgaria. We visit the palace and its lovely gardens before taking lunch in ‘The Guestroom of the Queen’ where little has changed since Queen Marie was welcoming her own guest’s years before. Today has been left free. Maybe you will decide to relax on the sandy beach, just 200m from our campsite. A later start this morning for a visit to Nesebar. Harbouring the coast’s best 19th century wooden architecture, a number of unique medieval churches and cobbled streets Nesebar is just perfect for a few hours of leisurely meandering. Transport is arranged for time in Veliko Tarnovo, including a group visit to the Tsarevets (castle). A free day, maybe you will choose to relax by the campsite pool. Early evening we visit Arbanasi, Bulgaria’s most wealthy village. We have arranged some sightseeing followed by dinner in an Arbanasi Tavern. This morning we are treated to a brunch breakfast in the campsites own coffee bar – a perfect start to a relaxing day. Afterwards you may decide to experience some Bulgarian rural life with a wander in the nearby village of Dragizhevo. Today starts with a visit to sights commemorating Bulgaria’s heroic 1877 victory over the Turks giving the country its independence. The remainder of the day is dedicated to the rose where we’ll see rose oil production and learn local traditions linked to its oil. Later we have an evening of singing & dancing and dinner & wine in celebration of the rose harvest, just as in centuries past. A free day. You may do nothing or perhaps choose to visit Kazanlak. Being 3 miles from our campsite regular buses pass the campsite to the town centre, alternatively there is a direct cycle & walking path. Today is given over to two geographical features of this fascinating Bulgarian corner. We visit Magura Cave (note access to the cave is via a steep staircase so may not be suitable for all) and Belogradchik town, centre of the region’s charming rock formations where we also have a rural lunch included. Throughout the morning we have a guided tour of Timisoara’s historic centre, followed by lunch in a city restaurant. Later you can choose if you wish to visit the informative but moving ‘Museum of the Revolution’ or simply have free time in the city. Our last day has been left free until the evening. You may do nothing or, being an easy walk from our campsite, you can visit the Open Air Museum recreating Romanian rural life from years past. In the evening we have our ‘Farewell Dinner’; a time to eat and drink as our tour nears its end. 7 x additional Campsite nights with electric hook-up in Kent on Monday 4th September followed by Belgium, Germany, Austria and Hungary.